Task: to design a bath stove front. 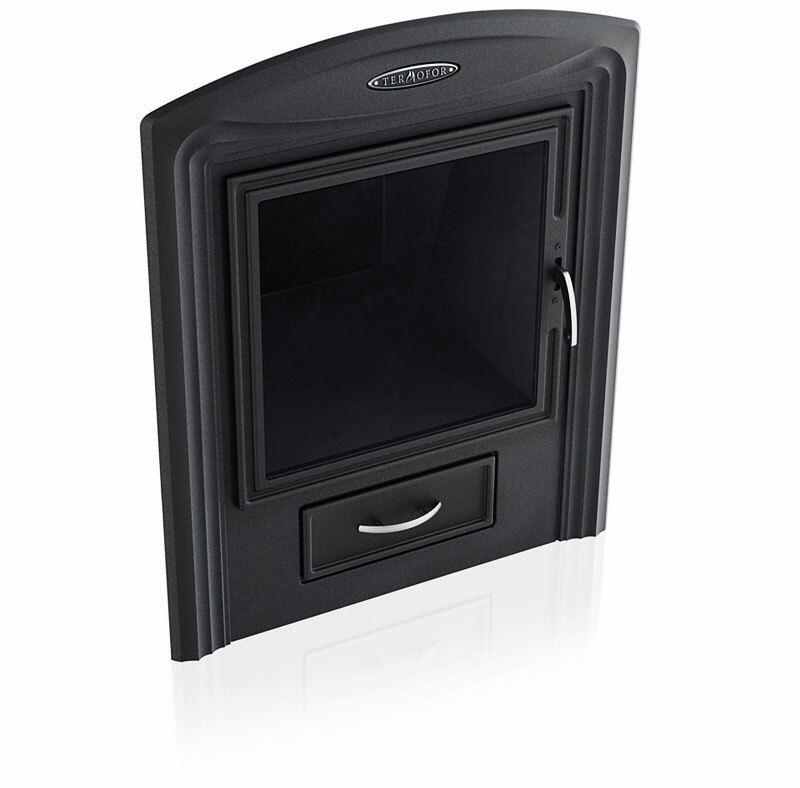 One of the most noticeable features of Termofor stoves is a glass panel with an expanding fuel tunnel invented by the company in 2005. It allows to monitor the flame of the stove located behind a thick wall. 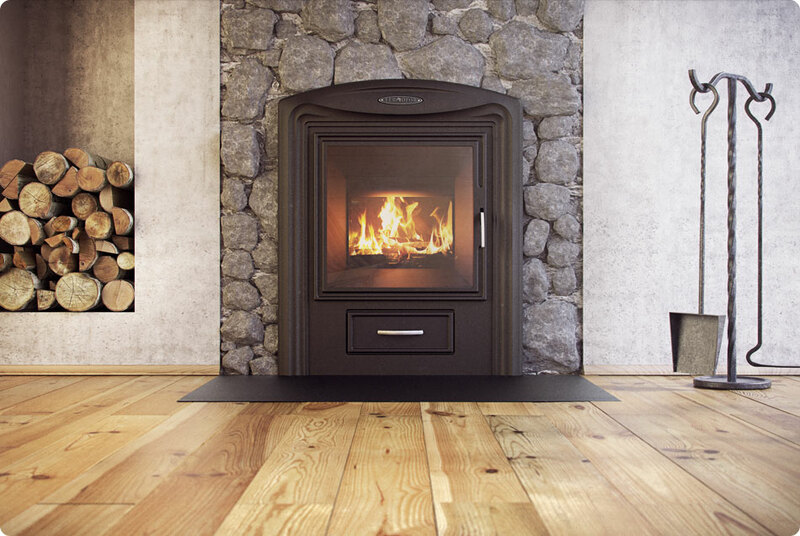 A unique universal front cover used in almost all medium-class stove models was created at the studio. The company uniquely measures the dimensions of the translucent “screen” in inches and ranges the products by size similar to TVs and computer monitors.